I have visited this domaine on the edge of the village of Pernand many times. There is true craftsmanship in the wines which are usually both fresh and succulent. 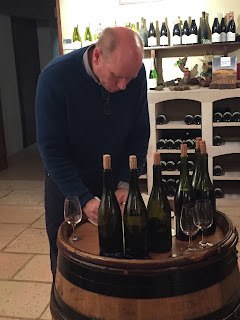 The Corton-Charlemagne 2012 was the highlight of a blind-tasting in Puligny during the summer of 2017 and shone alongside a range of premiers crus from Meursault and Chassagne. Tasted at the 2016 en primeur Burgundy tasting hosted by Justerini & Brooks this Corton-Charlemagne 2016 has a white peach, green melon nose. It's really quite lovely to inhale. 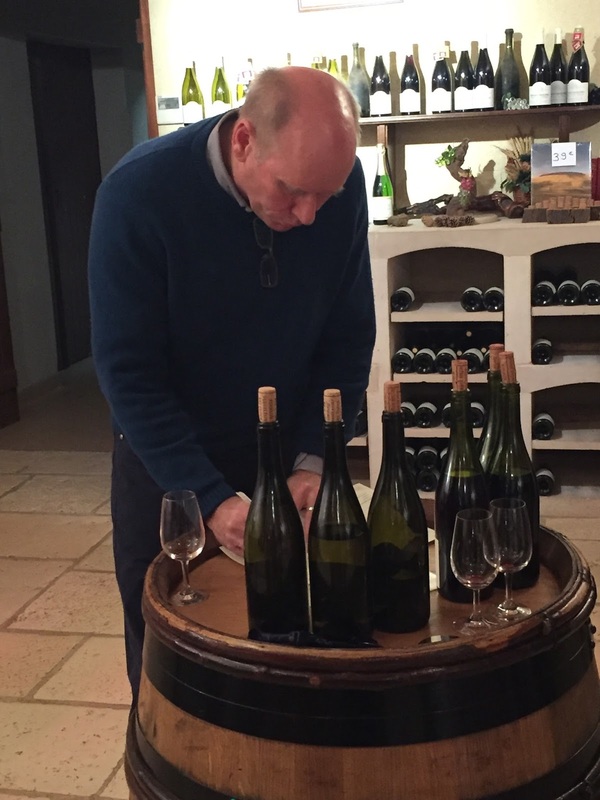 Medium plus weight which is a victory for a 2016 white Burgundy. There is a noticeable heat on the palate, good acidity, red apple flavour and definitely a fresh style. This is a very good wine for the 2016 vintage which can be bought with confidence. It's not, however, a luxuriously rich Corton-Charlemagne to imbibe with lobster thermidor. Scores 79-83/100. This wine will set you back £900 per case of 12 bottles in bond which is £92.60 per bottle retail. Worth noting, I bought the (superior) 2015 Corton-Charlemagne direct from the domaine for approximately 55 euros... ergo my point about not buying 2016 Burgundies. Photo shows Mitch Sedgwick hard at work in the Rollin cave on our November 2016 visit.